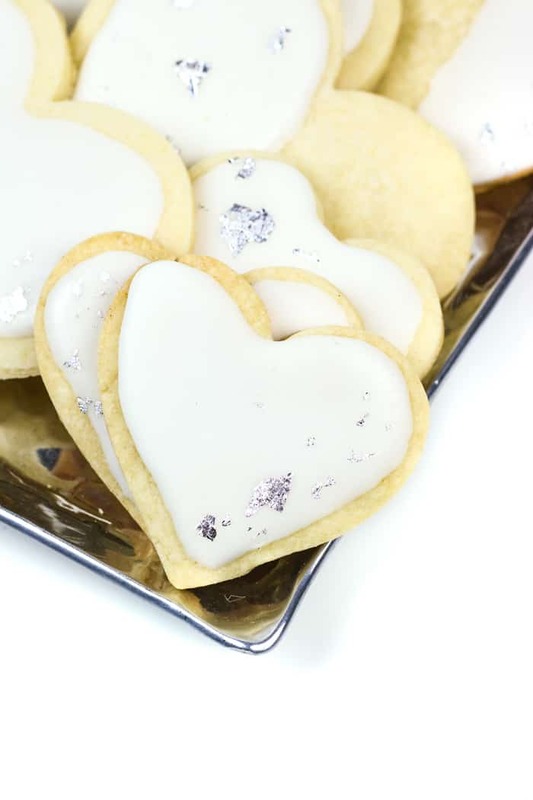 Show someone you love them with a batch of Heart-Shaped Sugar Cookie Cutouts with royal icing and edible silver leaf. They’re sweet and sparkly, and would make a great gift or activity to do together! 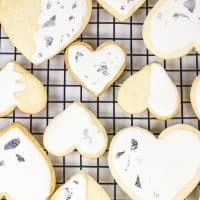 Five years of blogging and I’ve never shared my sugar cookie cutout recipe. Say it with me: WHAT?! I was astonished when I realized it at the holidays. 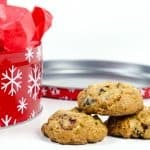 I have lots of recipes for chocolate chip cookies, gingerbread cookies, no-bake cookies, snickerdoodles, thumbprint cookies and oatmeal cookies. 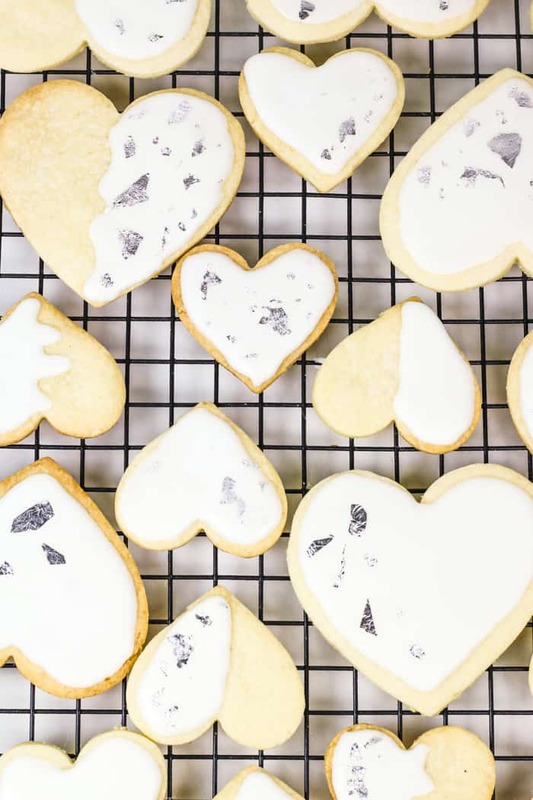 But when I looked for my sugar cookie cutouts, I couldn’t believe they weren’t on my site yet. I guess I thought I shared them at some point? I make them every year! But I couldn’t wait til next Christmas to share them with you. 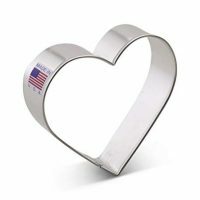 I remembered I had a pair of cute heart-shaped cookie cutters that I could put to good use for Valentine’s Day. 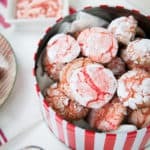 What I love about these cookies is that they are a classic recipe. A simple sugar cookie dough and a subtly-flavored lemon royal icing. And they are SO customizable! Use whatever cookie cutters you want! Ice them or don’t! Color the frosting or don’t! Add sprinkles or edible silver leaf or… say it with me: Don’t! I chose edible silver leaf because it’s kind of unexpected. Plain cookies and sprinkle cookies are both lovely, but edible metallic leaf is the extra mile. 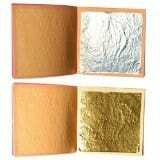 You can also use edible gold leaf. It’s another step because, once the icing has hardened, you must “paint” the leaf onto the icing. If you go this route, have fun — the cookies are meant to be imperfect and that’s what I love about them. No two the same! To me, that’s what love and valentine’s are all about. Go the extra mile for the ones you love. 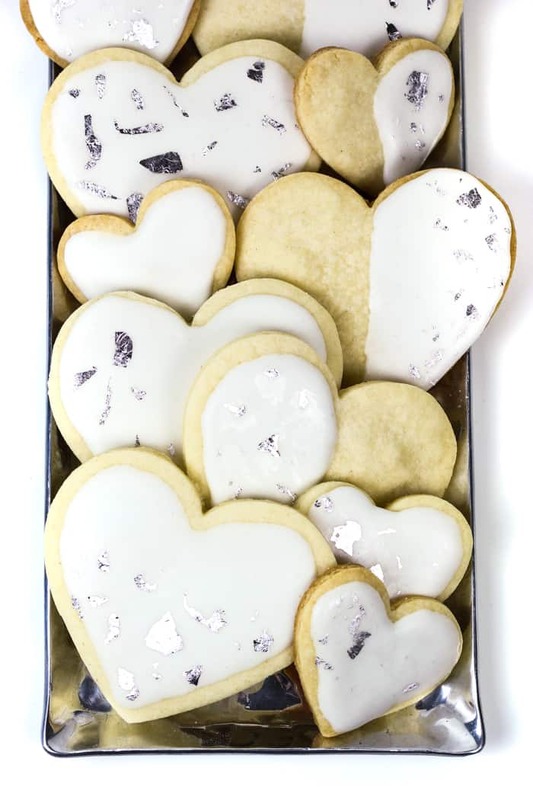 Whether that’s just baking a set of easy sugar cookie cutout hearts, or whether that’s adding edible silver leaf. You do you. 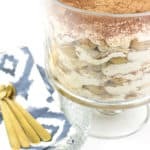 Today I’m joining some blogger pals to share recipes for a Valentine’s event! We want to make a difference in the fight against pediatric cancer. Did you know that cancer is the #1 cause of death of children by disease in the U.S.? There are 40,000 U.S. children actively battling cancer right now. With less than 4% of the National Cancer Institute’s budget going to all childhood cancer combined, I feel it is crucial to get involved. Help us make a difference by donating to Cookies for Kids’ Cancer! 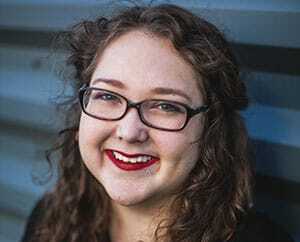 Our goal is to raise at least $3000. Because these three companies: Dixie Crystals, Mediavine and OXO have each pledged to match our donations raised through this campaign up to $3,000! This is the third year of this awesome event put on by my friend Julie at The Little Kitchen. Last year I shared this Rose White Hot Chocolate that is one of my favorite romantic drinks to share with my dude! I’ll be adding links to some of the other recipes shared today. 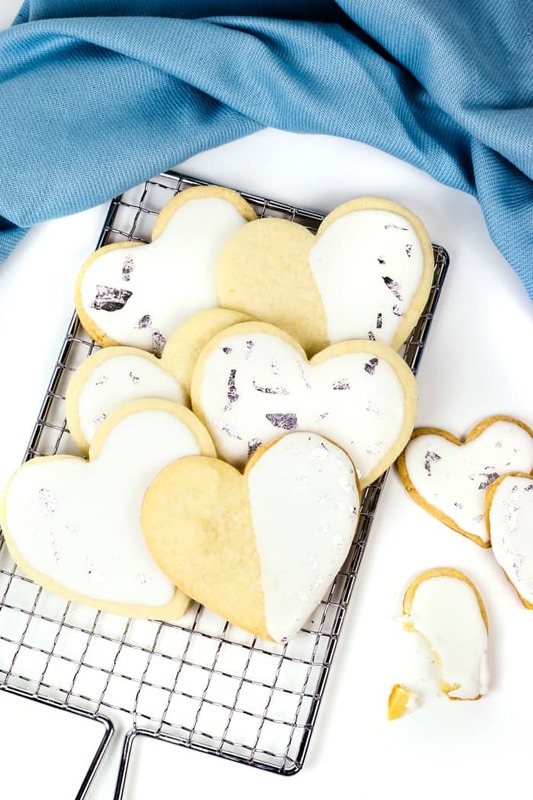 Make Sugar Cookie Cutouts with Royal Icing for every holiday! This classic recipe will get you through every occasion. In the bowl of an electric mixer, beat together butter and sugar on medium speed until pale and fluffy. Beat in the eggs and vanilla extract. Reduce speed to low. Gradually add the flour mixture until evenly distributed. Divide the dough into three equal sections and roll into a ball. Wrap the ball in plastic wrap, and flatten into a disk. Refrigerate until firm, about 1 hour or overnight. Preheat the oven to 325°F. Bring one disk of dough out to sit out at room temperature until softened, about 10-15 minutes. On a lightly floured surface, roll out the dough with a rolling pin until just under 1/4 inch thick. Add more flour as needed to keep dough from sticking. 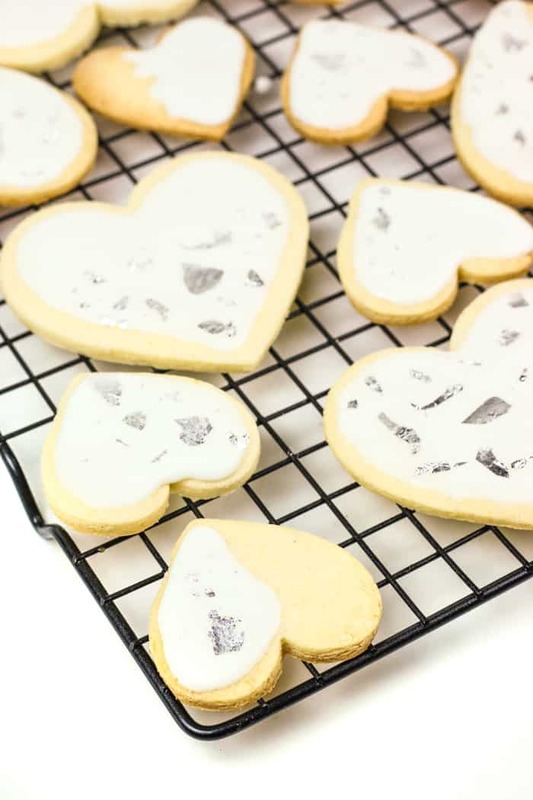 Cut out cookies with cookie cutters and transfer shapes to a cookie sheet lined with parchment paper. Roll out scraps and repeat. Chill cut out cookies in the freezer for 15 minutes before baking. Transfer to the oven and bake for 13-18 minute, or until golden brown on the edges. Let cool completely on wire racks. 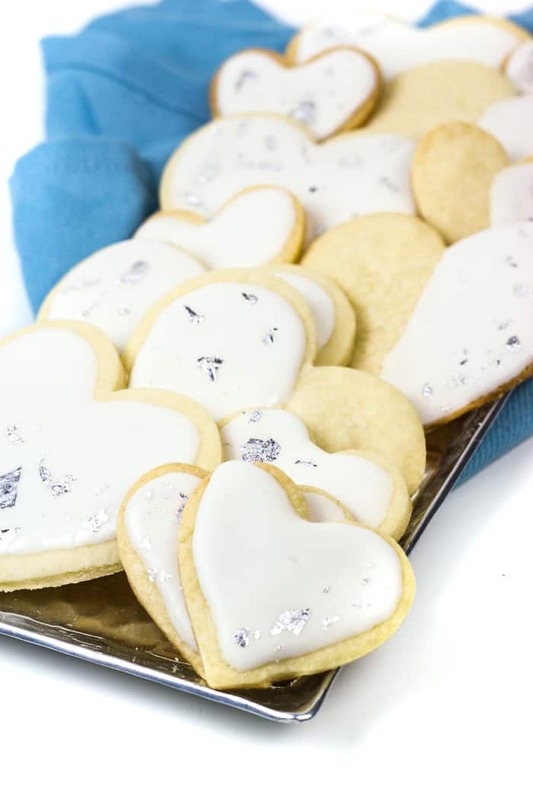 Meanwhile make royal icing (recipe below) and frost the cookies with a metal spatula or piping bag and nozzle. Let icing harden completely, around 30 minutes. 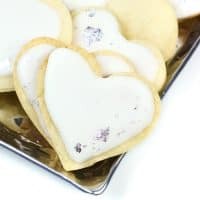 Using a paintbrush and a small cup of water, "paint" pieces of the silver foil or gold foil onto the cookies in a confetti pattern. Let dry. 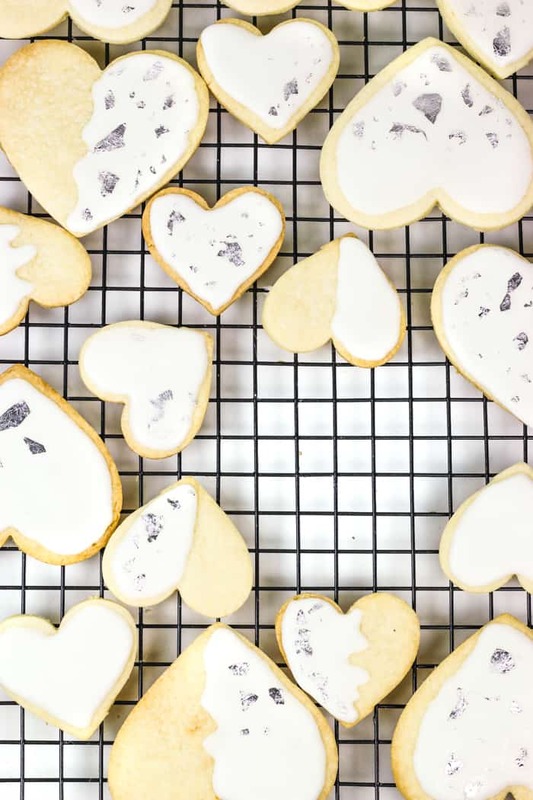 Royal icing is the best icing for sugar cookie cutouts. 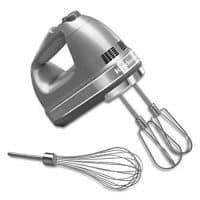 In the bowl of an electric mixer, whisk together egg whites and powdered sugar for about 5 minutes. Mixture should be opaque and shiny. Stir in the lemon juice and continue whipping until evenly distributed, about 3 minutes. 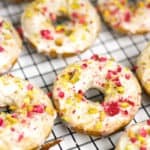 Icing should be light, fluffy and slightly stiff, but you may need to add more lemon juice (if too dry) or powdered sugar (if too wet) to reach the desired consistency. 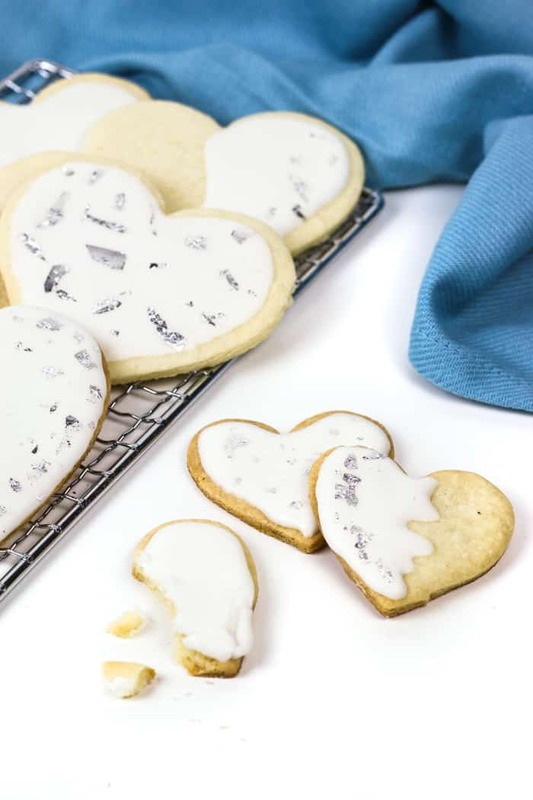 Use a metal spatula to spread the icing onto cookies and more! This recipe provides a subtle lemon flavor. If you're not a lemon fan, you can use water in its place. Thank you so much for hosting such a great event, Julie!